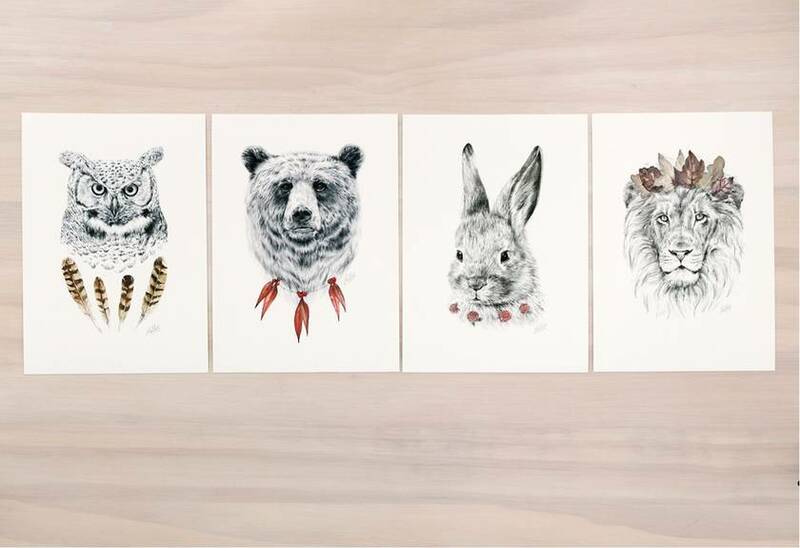 Set of 'Wild Pets' contemporary art prints by Millie Strong featuring pencil and watercolor drawings of the noble lion, brave bear, wise owl and shy bunny. 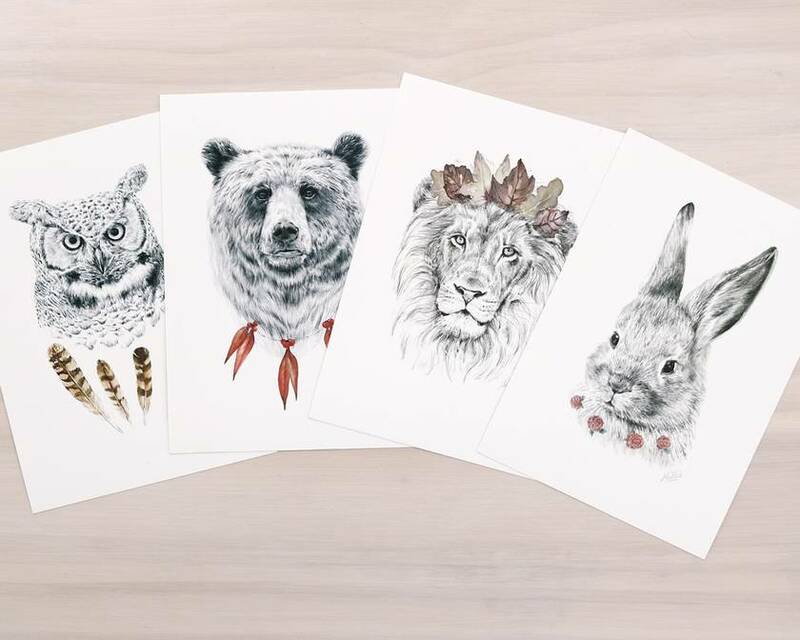 Printed on 300gsm matte fine art paper which has a lovely warm tone, perfect for complimenting the subtle tones achieved with pencil. Each print is signed in pencil on the front and back. Packaged in cellophane bags and posted together in a stiff cardboard envelope for protection.